Home › Advice › What should you do if you’re driving and an earthquake happens? 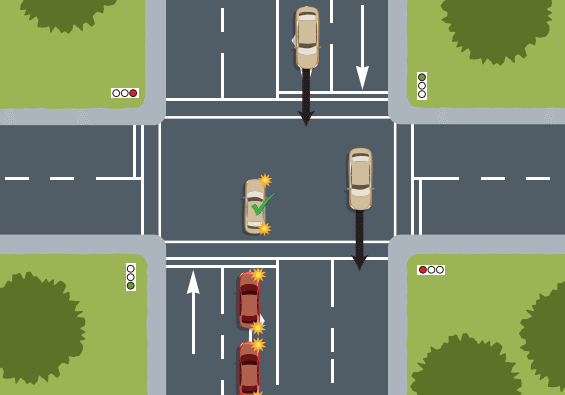 What should you do if you’re driving and an earthquake happens? Earthquakes are common in New Zealand, but most of the time they are small enough that you wouldn’t feel them while you are driving. However, occasionally there are ones that are large enough that you will feel it, or you will be able to see evidence of it happening. How do you tell if an earthquake is happening while you are driving? You may feel a sudden jolt, enough to throw your vehicle off course, followed by shaking that makes it difficult to stay in a straight line. It can feel like your tyres are flat, or that you are being buffeted by a strong wind. You may notice trees swaying even though there is no wind. If you are close enough to the fault you might hear the earthquake. 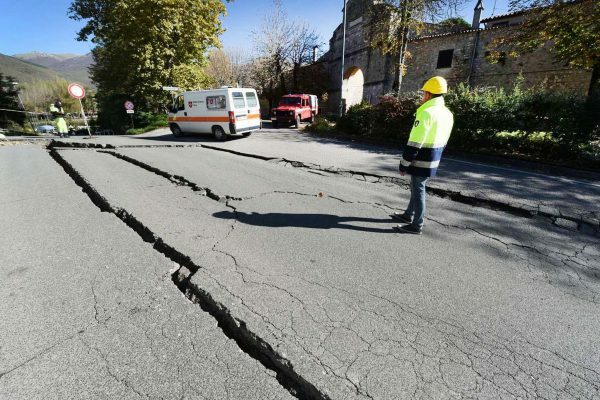 Cracks could begin to form in the road. You may see landslips happening. If you’re in an urban area you could see streetlights and traffic lights swaying, and glass could fall from tall buildings. It could look like dust is rising in the distance. Earthquakes don’t usually last more than a couple of minutes, and usually the strong shaking is only 10-30 seconds. Although, there may be periodic strong aftershocks for some time after the earthquake. What should you do if an earthquake happens while you’re in your vehicle? Stop if you are in a safe place, and stay in your vehicle to protect yourself against falling objects. A safe place is away from steep slopes next to you which could come down in a landslide, and away from tall trees or buildings that could fall. If you are in an open area, that is the best place to be. Next to the sea is not a safe place as a tsunami could come. If this is about to happen, the tide will appear to go out a long way first, before surging back in quickly. If you’re on a coast road you will have a few minutes to get away from the shore. You may need to leave your vehicle if there is a tsunami warning. Be careful of areas where there might be liquefaction. Wait until the shaking subsides – it’ll be over in less than a couple of minutes. If you have cellphone internet access, check the Geonet website to check the magnitude and epicentre. Anything above magnitude 5 is likely to have caused damage. Check social media – usually, people will post within minutes of a serious quake – and turn local radio on (preferably something newsy like Radio National). Check national newspapers as they will start to report on the quake within around 15 minutes. If it’s daylight and you can see clearly, proceed, but drive cautiously as there could be large cracks and steep dropoffs in the road, and bridges could be out or damaged. There may still be the risk of landslides and slips. Slips may have blocked or diverted streams or rivers which could cause water to flow over the road. If mains water pipes are cracked, this could also cause localised flooding. See how to drive in a flood. If it’s nighttime then you could come across slips and large cracks in the road which will be very difficult to see. Fences could have been damaged and livestock spooked; if you see one cow or sheep on the road, there are likely to be others as they will have escaped using the same means. Don’t call emergency services unless you are in serious danger or badly injured as they will be swamped with other calls. If you are trapped and not in danger, report yourself safe to family members; if you are trapped and in danger then you need to contact emergency services as soon as possible. This includes if there are downed power lines on your car as there’s the risk of them electrocuting you if you get out.